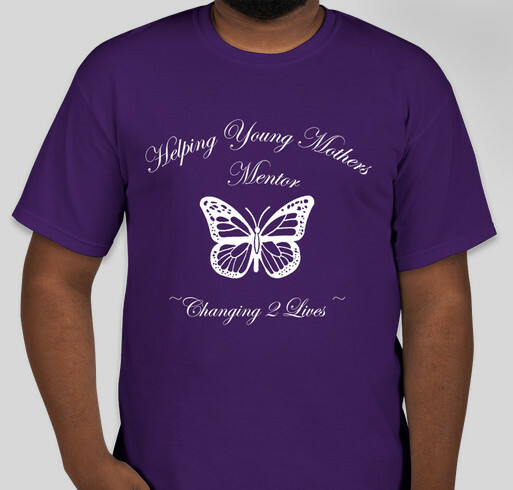 All funds raised will go directly to HELPING YOUNG MOTHERS MENTOR INC .
By donating $25 or more and receiving a shirt, you are helping us to reach 50 mentors and raise $5,000! All the proceeds will help the mentoring program to continue to provide many fun outings, educational materials and resources while changing 2LIVES. Most importantly your donations are tax deductible. So, wear YOUR T-SHIRT to the walk!! Our founder and Executive Director, Venita C Dell, was only a teenager when she witnessed her childhood friend being physically abused by her mother rather than receiving the stability, support and encouragement she truly needed during that unplanned event in her life. At age thirteen, Venita vowed someday she would work to provide a safe place for other pregnant teens to grow into responsible loving moms. She began writing her business plan at 13 and completed it while traveling with her high school sweetheart in the United States Navy. Supporting the passion and will Venita exudes in her efforts to support young mothers. Lord knows, it takes a village. I was a mother at 19. I am giving back. Soror Venita Dell is doing awesome working the City of Cincinnati to help educate, support and empower Youth Mothers to achieve necessary goals for future success. It is my honor to support her! I love the mission, efforts, and great works that this organization does!!! I have participated in mentoring organizations from being a Cincinnati Bengal Cheerleader. I love being able to support young women and help them to be successful! Share Why You Support "Helping Young Mother's 6th Annual Walk-A-Thon Fundraiser Event"